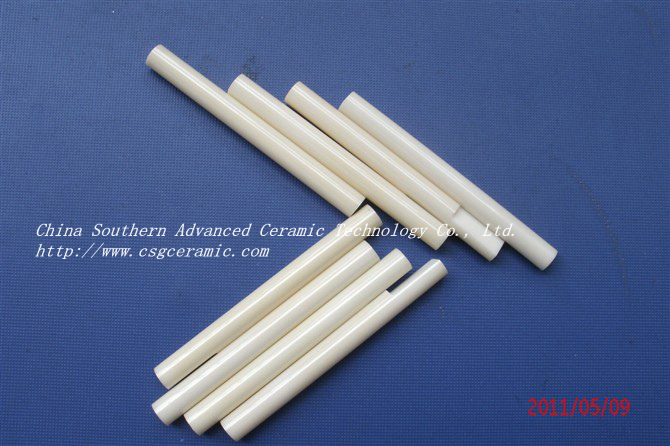 Alumina Ceramic Rod,CS-500001,Alumina Ceramic Rod,China Southern Advanced Ceramic Technology Co., Ltd.
1.The alumina rods are widely used in the thermocouple protections and some are used in furnaces. 2.We could design both open for two ends,and one open, the other closed. Also we could make with 2 or 4 holes in the tube. The size ranges from 3mm to 600mm for O.D. and the length is from 1mm to 2000mm. We can also design upon the customers' requirements. 4. Packing: according to requirement.